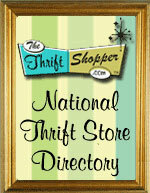 The ThriftStoreWebsites.com Website Builder was designed to make creating your own thrift store website easy and fast. We have integrated several help features for you to use. Read more about these features below. Our Live Chat feature is the best way to get "live help." Just click the "Live Chat" button located on all of our pages, and an operator will respond to you in a few seconds. By using this option, an operator can easily point you in the right direction. We can send links and screenshots in real time to make your problems seem simple. New visitors may also use this feature to ask questions regarding sign-up or other questions about our service. We strive to make building your website as easy as possible. We have created an entire website and devoted it to helping you. We have tips and tutorials on most functions of our services. This website will be ever-growing with information and how-tos for you to use. Email can be an easy solution to many of your support questions. We respond to emails very quickly. Sending an email gives us a chance to go over your situation and find a solution for you, we then respond to your email with the solution. Sometimes, if a more extensive solution is found, we may call you to go over the solution. Either way we will get the problem solved in a timely manner. (Note: We respond to emails in the order we recieve them, however, security and log-in issues are treated as "high-priority," and will be handled first. Phone support hours are Mon-Fri 8:00 A.M. - 6:00 P.M. EST. If you are requesting custom work or need our orientation service we will schedule phone calls on weekends or during off-hours. If you recieve our message service, please leave your name, phone number, and web address. (if available) This will allow us to have your information on hand, making it easier to help you during the phone call.